The Book Industry Study Group, or BISG, is a book publishing trade organization now headed by Brian O’Leary that was formed to be pan-industry. They were preceded by the Association of American Publishers (AAP) and the American Booksellers Association (ABA), but those were two “sides” of the book trade with their own interests, and they didn’t really represent the rest of the publishing value chain, which includes production and manufacturing at one end and agents representing authors and projects on the other. BISG was formed in 1975 with the impetus for its creation being provided by the printers. The driving force from the industry making it happen, and the first (and longtime) head of BISG was Sandy Paul. That’s a story I told a bit over a year ago when my partner in climate change work, Lena Tabori, and I did a presentation on climate change for BISG. But the point here is that I knew Sandy Paul (who later became Sandy Paul Money) very well from when I was a kid and she was working with my mother. She and I had one enormous thing in common: it was my parents who put us in the book business! So I’ve also known BISG since it was “born”. 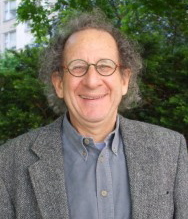 Now, BISG is back in my life for the most flattering conceivable reason: they are presenting me with the Sally Dedecker Award for Lifetime Service to the book publishing business. The presentation will take place on Friday (April 26, 2019) at BISG’s annual meeting. In this case, the BISG annual meeting will be a service to me. For most of the past two decades, ending about three years ago, I was constantly programming industry events that were trying to track and explain the digitally-driven changes in book publishing. That meant that everybody with a new proposition wanted to explain it to me, at the very least so they could get on a program. And I was staffed, for the most recent years assisted fulltime by Jess Johns (now with Ingram) and Ted Hill (now the CEO of MVB U.S.), two of the sharpest thinkers in our industry. And, of course, I was partners for seven years in the conference business with Michael Cader of PublishersLunch, who is the single smartest person I’ve met in our business. So I was really at the apex of an information-gathering and initiative-evaluating machine. I knew a lot, and I tended to know things before other people did. Since I shifted my focus to helping conceive and build the ClimateChangeResources.org web site with Lena Tabori (who leads this effort, which will debut for real very shortly), I’m not staying ahead of publishing change the way I used to. (Although I am very emphatically not out of the game, and at least one highish-profile result of my continuing involvement in the heart of the publishing business will be announced before long.) I was really struck by how the program for the BISG meeting can get me up to speed, with a lot of friends and former colleagues delivering the education. And I have questions about the current state of play for each panel that I’ll bet will be answered. The theme is “innovation”, which is precisely what is hard to keep up with. What is being delivered by BISG at the meeting is pretty much a checklist of what we should be thinking about. The day begins with a conversation about the state of the supply chain for paper and printing, reflecting the recent reality that paper and presstime shortages are causing real headaches for publishers with book supply. When I managed production and manufacturing for a number of publishers for my father’s Planned Production business in the mid-1970s, we tried to “own” presstime (so we could shuffle things around at the last minute if we needed presstime to cure an emergency shortage) and many publishers bought paper and stocked it at the printer. I suspect that latter practice was curtailed over time, but, if it was, it is likely to be reconsidered. Certainly the biggest publishers would be well advised to have paper they own on hand to be sure they aren’t caught short on a moving title. We’ll find out from Matt Baehr, Director of the Book Manufacturing Institute, and Janet McCarthy Grimm, VP of Lindenmeyr Book Publishing Papers, whether that’s the case. Next up, agents and rights directors, including Ginger Clark of Curtis Brown, who has been on programs I created many times in the past, will talk about the innovations taking place to “grow the market” for rights sales. In the beginning of my career, “rights” from the income perspective primarily meant book club rights and paperback rights. That certainly isn’t the case anymore. The fact that a foreign rights director from a literary agency is on the program is a hint about how things have changed during my years of service. I’m curious about how the tension between putting content out to generate virality and potential book sales and getting paid for chunks by anybody who might host them plays out. That panel is chaired by Christopher Kenneally, whom I have also had the pleasure to work with many times over the years in his day job at Copyright Clearance Center. Then my longtime friend Carolyn Pittis of Welman Digital, whom I got to know during her many years as a key change strategist at HarperCollins, will lead a conversation about innovation in workflows. In the digital age, of course, the creation of the book and its distribution can all be part of a continuous workflow in ways that they couldn’t have been 10 or 20 years ago, let alone 30 or 40 years ago. I guess the discussion I’m most looking forward to is “Innovation to Increase Sales”, which is chaired by the most innovative publisher we’ve got, Dominique Raccah of Sourcebooks. She will lead a panel that includes distributors Ingram and Readerlink as well as Bradley Metrock, the new owner and leader of my previous bailiwick, Digital Book World. (I’ll be speaking at this year’s DBW in Nashville in September.) 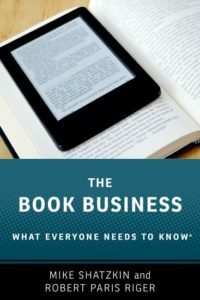 With bookstore shelf space still diminishing, Amazon’s power continuing to grow, and direct contact between publishers and consumers steadily becoming a key marketing and sales channel, the opportunities for industry aggregators to add value also expands to help get books placed in outlets too scattered, small, and unsophisticated about buying to deal with supply the way bookstores traditionally have. The details of where that stands right now will be enlightening. And the concluding panel, Innovation Across the Supply Chain, gets into the innovation with book creation itself, including deciding what the next book created should be. The panel itself reflects the knowledge of new players, specifically Wattpad and Story Fit, along with the knowledge of savvy veterans Alison Rich of PRH and Maja Thomas of Hachette, who were in place long before most of the innovations they’ll be talking about on Friday were even conceived. And then it all concludes with a keynote by Michael Tamblyn of Rakuten Kobo. I worked with Michael quite a bit nearly two decades ago when he was the founder of BookNet Canada. He has had a ringside seat for the ebook revolution, running a global company that has stayed strong in the game despite the efforts of Kindle, Apple, Barnes & Noble, and Google to dominate it. Since ebooks have stopped growing as a segment for commercial publishers, less attention has been paid to them. Growth in digital has been all about audio for the past few years. But audiobooks are actually ebooks these days. I suspect Tamblyn will have a thing or two to say about that. I knew Sally Dedecker, the late industry activist for whom the lifetime service is very aptly named. She was truly “industry”-spirited and was an inspiration to all of us as we came into contact with her. I doubt I’ve ever been that inspirational, but I hope I’ve been helpful. For my part, I can’t imagine a better way to have spent my working life than I did, helping foster innovation and creative thinking about the processes and operations of book publishing. The main reason it has been so wonderful has been the people I’ve worked with. Because publishing attracts a very special group of practitioners. Nobody with a brain goes into the book business to get rich. If that’s your primary motivation, you’ll go into finance or real estate or get a degree in law or accounting. The motivations that drive people to a career in book publishing are different. It could be a love of books or words, course. Or passion for a subject which spawns many books. But whatever brings somebody into trade publishing to start with, they must get comfortable with processing new ideas. Most non-fiction books that aren’t straight “how-to”s contain new ideas. Each book a trade house does has its own distinct audience, and learning about who they are and what they think means wrapping one’s brain around more new ideas. So I’ve had the opportunity to work with legions of smart people who are interested in new ideas and help them figure out how to develop and apply them. And I got paid for it. I am delighted that an organization as serious and thoughtful as BISG believes that career is worthy of commendation and an award. I can truthfully say that living this career has been very much its own award. Whatever gratitude the industry is expressing to me through this recognition is reciprocated ten times over for the opportunity to have lived and worked in the book publishing world and to have so many friendships with the people in it.